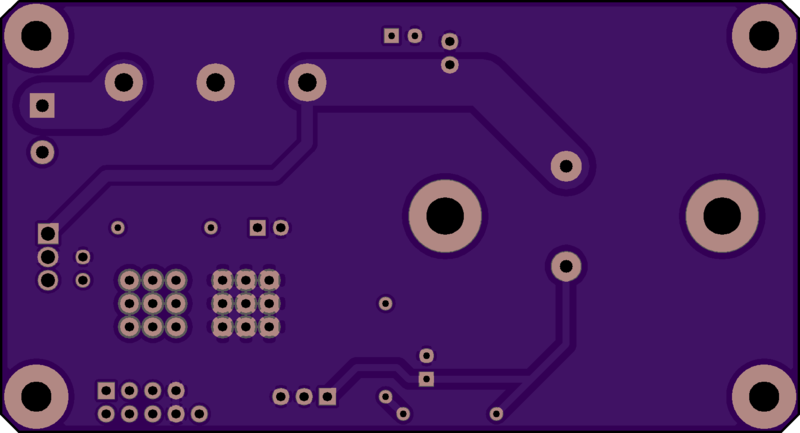 2 layer board of 3.44 x 1.86 inches (87.3 x 47.2 mm). Uploaded: January 18th, 2014 22:31. 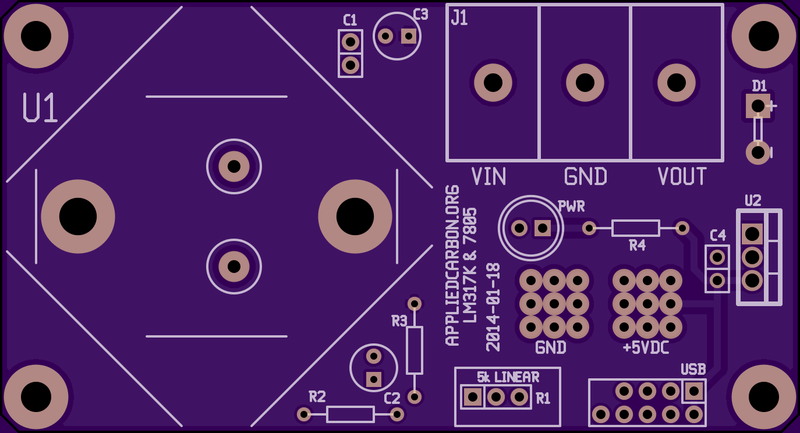 A compact board intended for a simple DIY bench-top power supply project.